Posted by Sam Smith on Friday, August 19th, 2011 at 12:32pm. Looking for a golf course view home can be more difficult than you would think. Many of the luxury estate homes in Newport Beach either have a waterfront or ocean view and located near the ocean. If you are specifically looking for a golf course view home in a gated community then we recommend the Big Canyon gated community homes for sale. Within the Big Canyon Country Club, you will find communities like Big Canyon Deane and large custom Big Canyon homes. The homes in the Big Canyon area surrounded the Big Canyon Golf Course and have commanding golf course views. Residents in this area have easy access to the Big Canyon Country Club which is located within the gated community. Another option would be the Granville community that is located right next to the Fashion Island shopping center. 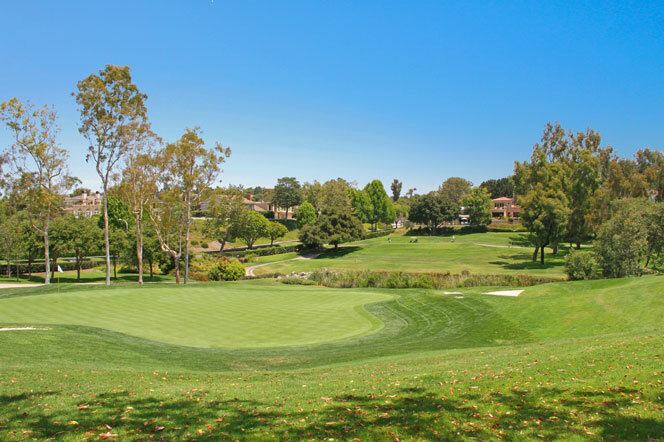 This smaller and exclusive gated community sits next to the Newport Beach Country Club golf course and located directly in the heart of Newport Beach. Another option would be the homes at Sea Island McLain which sit on the other side of the Newport Beach Country Club golf course. These townhomes offer a more affordable option for living in golf course gated community. Finally, you may also want to consider the Big Canyon MClain condos. These condos can typically be bought for under $600,000 with golf course views! If you have any questions regarding Newport Beach Gated Golf community homes for sale please contact us today at 949-444-1901.